We pay so much attention to our business websites, keep them up to date and make them visitor friendly and try to drive engagement with them. However, we cannot say that we maintain the same enthusiasm for the events that we host. Usually annual affairs, business events get a lot of attention from our side, when it comes to hosting them and preparing for the final day and amidst all this dedicated website portal that has the potential to elevate visitor experience is often neglected. 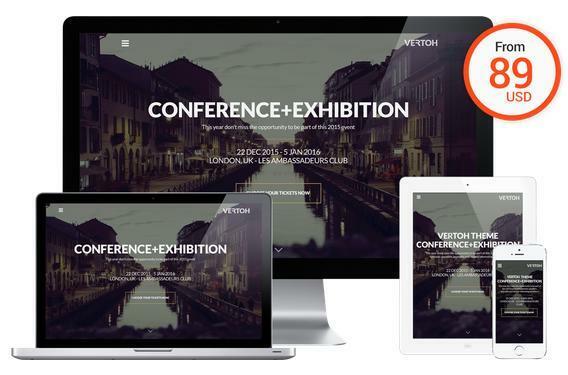 Vertoh is a simple yet effective WordPress theme aimed especially for events that can not only help your visitors find all necessary information but also help you promote the event and even get more participants. Vertoh comes with an elegant design which you can customize with 15 colour combinations and 4 header styles to choose from. The theme itself comes with dedicated spaces for speakers and exhibitors that will be participating at your event and you can even highlight key personalities among them. Once you enter the program details, the theme draws up a sleek looking schedule with all the important information so that your delegates can find key information quickly. 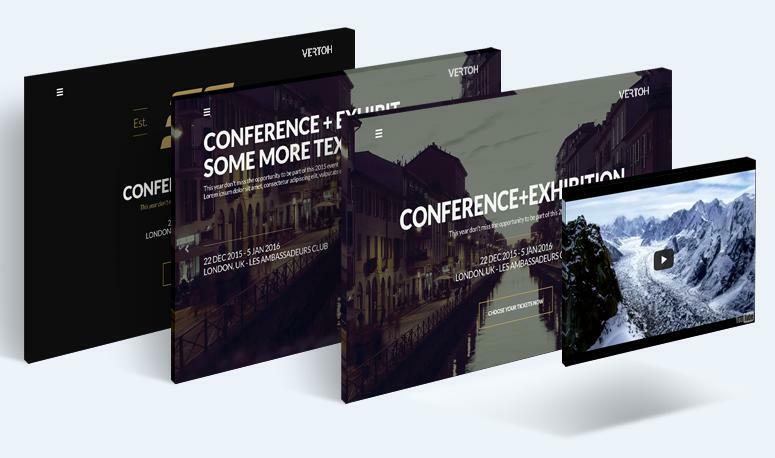 Vertoh automatically features translation of content in 7 languages other than English so that your attendees can access information in the language of their choice. This fully responsive theme quickly adapts depending on the device a potential visitor might be using. With social media becoming an integral part of the way businesses are conducted today, Vertoh includes social media options and can even display RSVPs from them all with a single click. The wide variety of font options allow you to be creative with your site and instead of keeping the site static during the event, you can even drop photos and videos from the event onto the homepage to keep the page updated. This wonderful theme from Show Themes comes for a one-time fee of $89 for unlimited uses and if you think you need a little help during setup and execution, you can get expert device for 1 year along with the theme for $119. Here’s the demo for Vertoh and this is something to consider for your next big event. Clear Call to Action and Event Information. 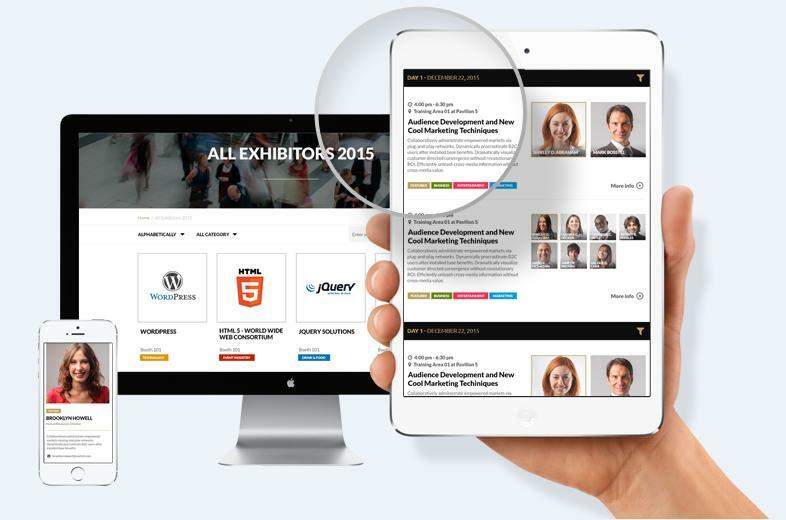 Exhibitors’ functionality for events with exhibition. Woocommerce integration. 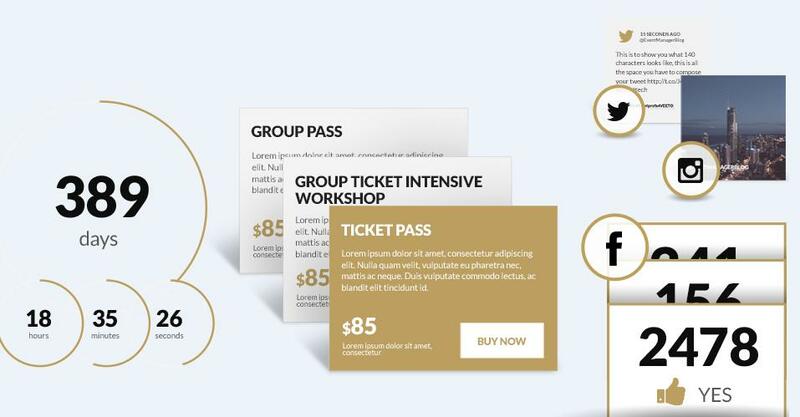 Sell event tickets with Woocommerce. Dedicated Pages for Speakers, Schedule, Exhibitors and News. Performers Profiles on a dedicated page with profile information and option for video and slideshare. Registration – Integrates with Eventbrite, Event Espresso, Woocommerce or Xing Events. Map and POIs – easily display the location and points of interest for your event on a Google map. Social Media – Facebook, Instagram and Twitter Integration. Facebook Integration – featuring live RSVP display from a Facebook event. Twitter Wall – the Twitter widget allows you to quickly display a live stream of your event hashtag. Quick Media Display – quickly display pictures and videos of your event.